I’m up for re-election this year and I have an opponent. I need your help, support and vote. Thank you for allowing me to serve you in the House District 83. If you would like to contribute, please mail a check to Hixon For House, P.O. Box 7927, North Augusta, SC 29861 or by this link: Contribute to Representative Hixon’s Campaign. I hope that you find this update helpful and informative. If I can help you with any issue, please let me know. Thank you for reading and allowing me to serve you. Voters in Aiken County and part of Saluda County approved Tuesday the $90 million Aiken County Public School District’s bond to help pay for expansions, additions and security enhancements at four existing schools and to build two new schools. 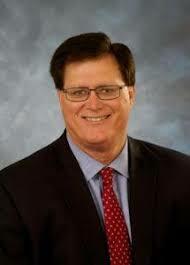 Aiken County voters approved the bond by an official vote of 8,637 or 53.96 percent, to 7,369 or 46.04 percent. My House District 83 approved the bond referendum 2,030 for and 931 against or 68.6% for and 31.4% against. (Columbia, SC) – House Speaker Jay Lucas (District 65-Darlington) issued the following statement after the House voted to nonconcur with the Senate amendment to S. 954. Background: The legislation is now set to go to a conference committee where three House members and three Senators will work out the differences between its respective versions. The original version of the Senate amendment did not include any ratepayer relief and was amended by the House to drop the 18% monthly nuclear premium temporarily to zero. Once the Senate received the legislation again, it was amended to its current form which allows SCANA to charge a 5% monthly premium for the $9.5 billion failed VC Summer nuclear project. *Besides this piece of legislation that provides temporary relief until the beginning of next year, the House has passed four bills addressing the VC Summer nuclear fallout that have failed to make any significant movement in the Senate: (1) H.4375 – Long-term ratepayer protection relief that drops the nuclear surcharge from 18% to 0% permanently; (2) H.4379 – Create a consumer advocate within the Office of Regulatory Staff (ORS); (3) H.4377 – Public Service Commission reform (PSC); and (4) H.4378– Create a Utility Oversight Committee. 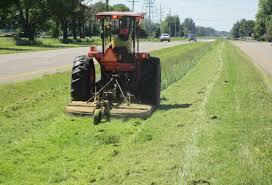 Grass Cutting in the SCDOT Right of Way: Grass is beginning to grow in right of ways around our district. In Aiken County, DOT contractors have started cutting the grass on the interstates with secondary roads to follow in cycles between now and late October. If you are aware of an area where high grass is obstructing vision for drivers as they enter or exit certain roads in our County, please call the SCDOT at 641-7665. SCDOT — Infrastruture Maintenance Trust Fund (IMTF): The South Carolina Department of Transportation (SCDOT) has taken more steps to allow the public to view a detailed revenue statement and project list that is supported by the Infrastructure Maintenance Trust Fund (IMTF). 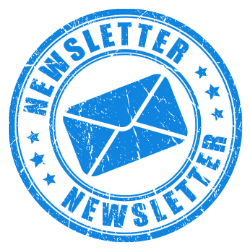 The information made public is a further effort to assist South Carolinians in keeping track of the additional gas tax revenues which are deposited in the IMTF. The IMTF funds the 10-Year Plan to Rebuild South Carolina’s roads. Earlier this year, SCDOT added the IMTF Report on the agency’s web site to provide a monthly statement of how much revenue is available for the improvement projects. The revenue statement and the project list have been added to the IMTF Report as of March 1st. The SCDOT Infrastructure Maintenance Trust Fund (IMTF) Revenue and Project reports can be found here. SCDOT Road Project Link: SCDOT has created an interactive map to allow citizens to see the road and bridge projects going on around the state. To view it, go here. Academic Common Market : Several constituents have asked for more information on the Academic Common Market which is administered by the Southern Regional Education Board (SREB). The Market allows for South Carolina residents who are enrolled in specific programs at out-of-state institutions to be charged only the applicable in-State tuition by the institution in which the student is enrolled. Eligible programs are those programs which are at least 50 percent different in curricular content than programs offered in South Carolina. Participating states are Alabama, Arkansas, Delaware, Florida, Georgia, Kentucky, Louisiana, Maryland, Mississippi, Oklahoma, South Carolina, Tennessee, Texas, Virginia, and West Virginia (Florida and Texas participate only at the graduate level). There is no cap on the number of students who can utilize the program. Students must meet the requirements which are (a) acceptance into the specfic program not offered in South Carolina; (b) enrolled full time; and (c) be a South Carolina resident. In 2016, 122 students from South Carolina utilized the program. Public School Safety: The House took a major step on Thursday to make our public schools safer by making it easier to hire school resource officers. There are currently 590 public schools in South Carolina that do not employ a school resource officer. The lack of available officers and hiring restrictions have made it difficult for school systems to hire more new officers. Many retired law enforcement officers have expressed interest in using their previous training to work as a school resource officer; however, current state law caps salaries of retired state employees who wish to serve to $10,000 a year. To fix this problem, the House lifted the $10,000 cap so retired state workers can apply for the many open school resource officer positions. $15 million dollars of state lottery funds will pay for other school safety measures as well including metal detectors, security cameras, and door locks. State dollars will be allocated for poor school districts that cannot afford to hire school resource officers. Also this would allow any retired state workers to come back to work, if you retired before or on December 31 ,2017. 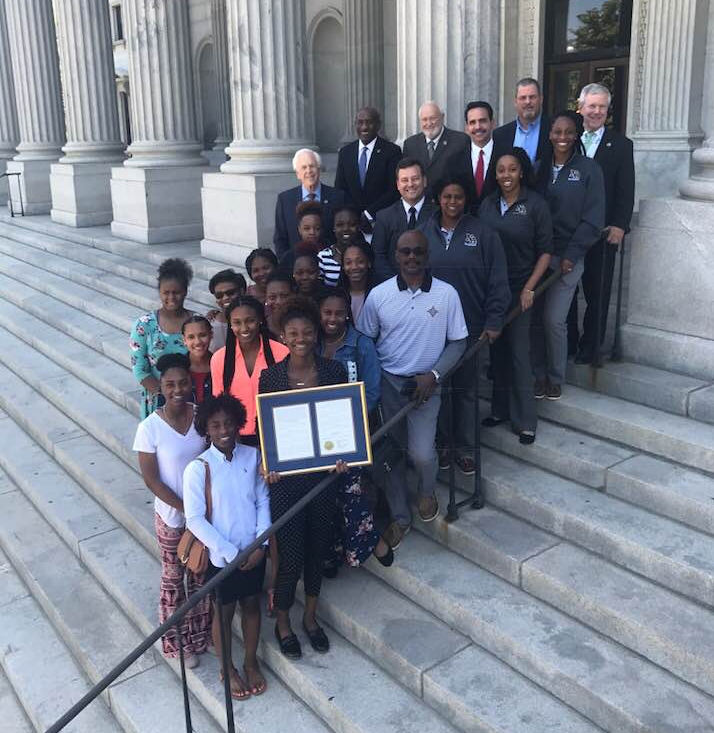 South Carolina House Honors State Championship: The South Carolina House honored North Augusta High School Girls basketball team for capturing the 2018 Class AAAA state championship. The yellow jackets have won 54 of 55 games over the past two years, which has lead them to their second consecutive state championship. This is the part of my job I love.